It’s amazing how fast the months go by. The first Tuesday in November has arrived and that means today is the posting date for Group A of the Secret Recipe Club. Amanda of Amanda’s Cookin’ developed the idea for this club several months ago and it has grown to include four large posting groups! Click the link to visit the Secret Recipe Club and to find out more if you are interested in joining or seeing great recipes from bloggers in this and other groups. Each group’s posting date is a different Monday of the month. 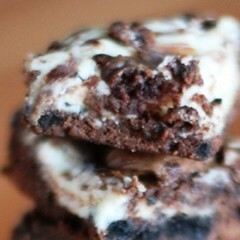 So check Secret Recipe Club each Monday and look for the reveal post there. This month I was assigned “Simply Cooked”. Sarah, the author of the blog, is a math teacher living in Hong Kong. I enjoyed reading her “About Me” page (always the first think I look for on a new blog). She introduces herself as a veggie lover with a carnivore husband. One great thing about her blog – especially for international readers – is that she provides metric and Imperial measurements on nearly all of her recipes. In addition to being just a few months shy of six full years of blog posts and recipes, Sarah also includes quite a few book reviews and photography/light box tutorials. I enjoyed browsing through her selection of recipes. So many of the recipes looked delicious to me but were a little out of my normal “cooking comfort zone”. It’s a great thing to have an excuse to branch out a little but I also had to think about the fact that many were also out of my husbands “eating comfort zone”. So I decided to play it safe and I chose the Whole Wheat Walnut Bread. I do frequently make yeast breads, but this one was a little different from the few recipes I normally rotate between. I enjoyed the change of pace. 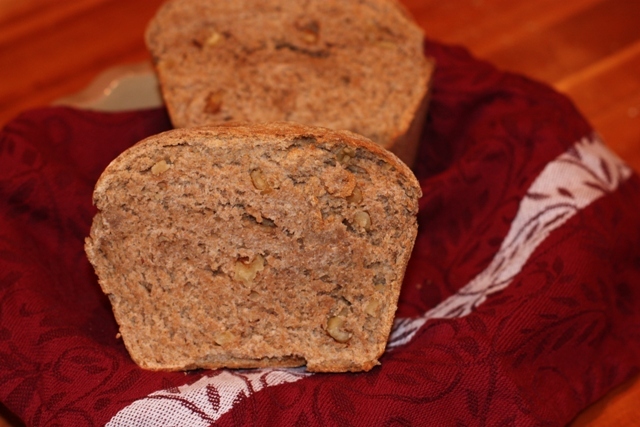 I frequently put walnuts in quick breads, but can’t remember ever using walnuts in a yeast bread. This was a great addition to the rest of our meal – baked ham, scalloped potatoes, and veggies. And it was perfect for making sandwiches with leftover ham. The first time I made this exactly as written. I prefer bread to be a little sweeter so the next time I increased the honey. This recipe will be a new staple in my bread “rotation”. Thank you Sarah, for a great recipe! 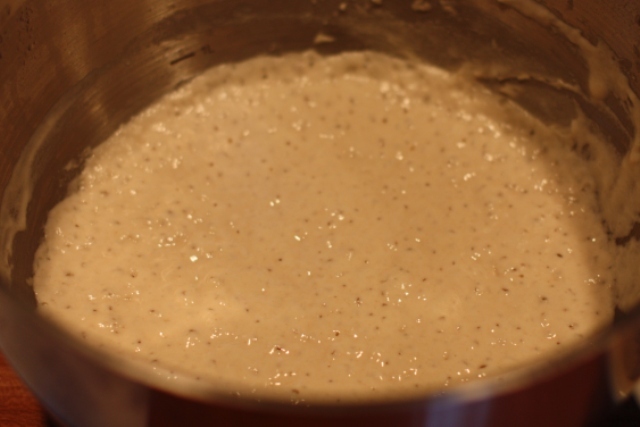 One the sponge starter is ready, dissolve the remaining 1/2 teaspoon yeast in 1 cup lukewarm water in a large bowl. Let proof for about 5 minutes. Add the sponge starter and mix well. 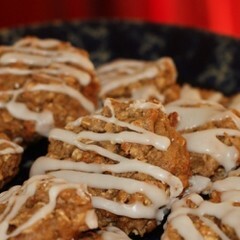 Stir in the honey, oil, 2 cups whole wheat flour, and salt. Stir in remaining flour. Add the walnuts. Turn out onto a floured surface and knead for ten minutes, adding only as much flour as needed to keep it from sticking. Knead until the dough is smooth and elastic. Grease the bowl and return the dough, turning it to coat it in oil. Cover the bowl and allow the dough to rise until it is doubled in size, about 2 hours. Divide the dough into two pieces and form into loaves. Place on a baking pan and leave them to rise again, about 30 minutes. Bake at 400 degrees (F) for 30 to 40 minutes, until the loaves sound hollow when tapped on the bottom. Cool on a wire rack. To see other great recipes from this month’s Secret Recipe Club, follow the links below! Bread is one of my favorite things to make. This looks great. Looks so good – everytime i make bread at home it goes to fast! Looks like fantastic bread. Great pick for the SRC! Thanks for visiting Simply Cooked and trying the bread. You did a stunning job! I made this a few times and found that the eight hours rest worked well overnight, or if I had a short day at work. But then my routine got mangled and I haven’t made much bread lately. How does your bread routine work? I usually bake bread on a Saturday morning about once a month. I rotate between a few of our favorite recipes so we don’t have the same bread all the time. While I’m doing it I usually do enough to make several loaves. I cut the loaves in half and freeze each half separately. When we finish a half I pull out the next half. This works really well for us! I will have to try this recipe. 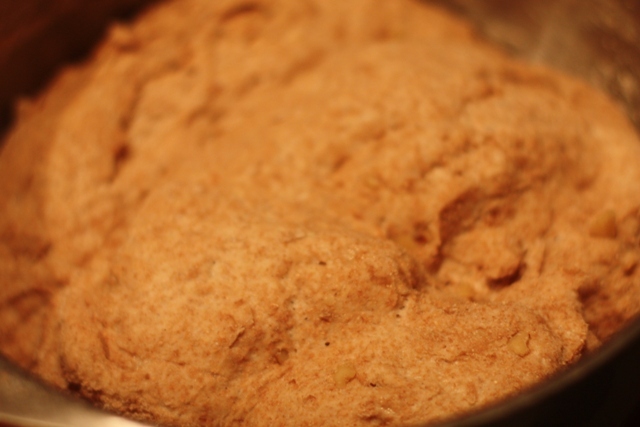 I love making yeast bread, but have never added walnuts. Good way to use up the bounty in my back yard from the old walnut tree. This bread looks great! I love the addition of walnuts…yum! I love baking bread and this sounds fantastic! Excellent choice for SRC! Gorgeous looking bread and I wish that I was a bread baker so I could make this. For me, no matter how simple bread never turns out right…,oh well. If you haven’t already, I’d love for you to check out my SRC recipe this month: Pork Belly Soup with Collard Greens. Your bread looks great! Love homemade breads! what a great idea… will have to try this! What a fantastic post for SRC!!! 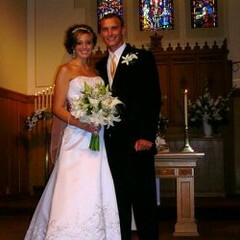 I have been to your blog before, but I have just become your newest facebook fan! Love your blog.